Multiple sclerosis warning signs can often be hard to distinguish. The symptoms of this disease are also related to many other illnesses. Any of the symptoms taken alone does not mean you will have MS, nor does having all of them at the same time. Only a doctor can determine if you have MS. Multiple sclerosis warning signs vary widely between people. The symptoms a person suffers from depend on the part of the brain affected. Many of these symptoms will seem totally unrelated to each other, making it hard to realize you may be at risk. This is why it is very important to regularly see a doctor and discuss any strange symptoms you may be suffering from. You should also make sure your doctor has a complete family medical history, as heredity is one of the key risk factors for multiple sclerosis. While multiple sclerosis signs may be hard to recognize, there are many key symptoms you should be aware of. Numbness or weakness in your limbs. This may be in one or more limbs, typically on one side of the body at a time. Partial or complete loss of sight. This will usually occur in one eye at a time. Eye movement may often cause pain. Blurring of vision or double vision. Pain or tingling in parts of your body. Changes in sensation in the arms, legs, or face. There are other possible symptoms, but these seem to be the most common multiple sclerosis warning signs. Many of these symptoms are identified only after diagnosis, as they may be mild or brief in duration. Often infection, trauma, or strenuous physical activity may precede these symptoms. 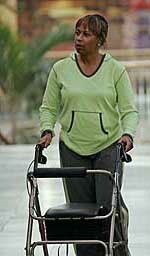 The multiple sclerosis warning signs do not conclusively indicate MS. Many people may suffer from all these symptoms in random order, while others may never experience most of these symptoms. These symptoms may also indicate a different disease. Whatever the result, if you are suffering from several of these symptoms, or even one of the more severe, you should probably consult a doctor.